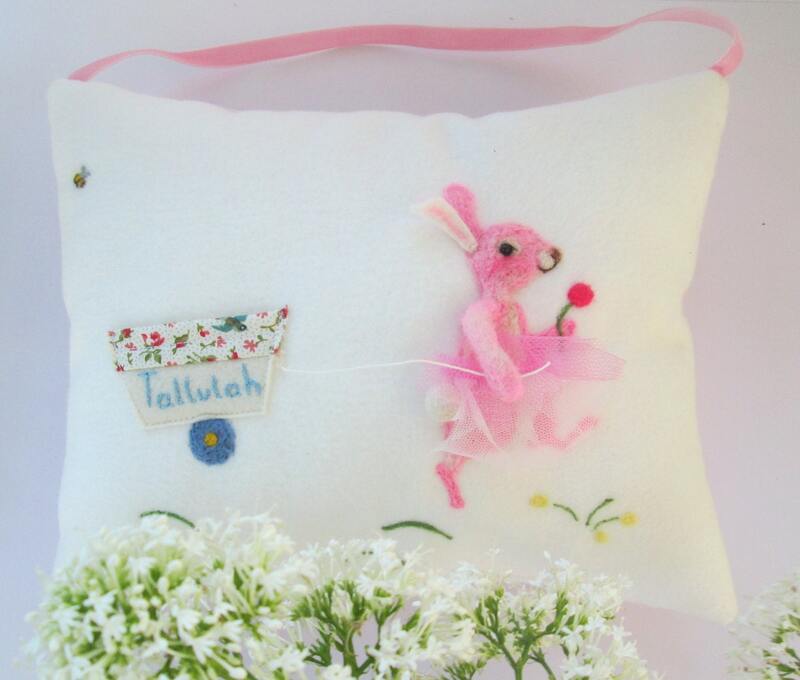 Tooth pillow, needle felted tooth fairy pillow, pink bunny girls bedroom pillow with reward pocket. This tooth pillow has a cheerful pink bunny skipping along on a fine sunny day with her wagon in tow and the bees buzzing. 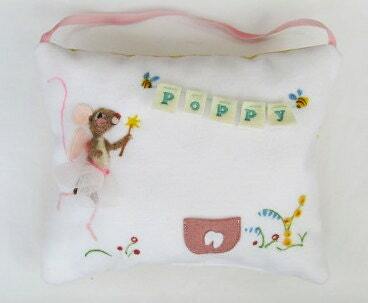 The design is needle felted with 100% pure wool onto a cotton base fabric. Her ear, arm are both 3D, which really brings her alive. There is a velvet ribbon to hang the pillow on a handle or peg. I am happy to put any of the designs you see in my shop onto a full size pillow. Let me know the name/ date you would like when you purchase and it will be embroidered onto the front of the wagon if it fits otherwise along the edge of the design. 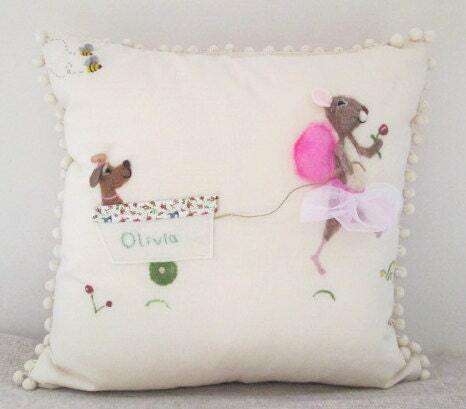 This cushion makes a lovely, memorable gift and heirloom and is hand made in Somerset, England. 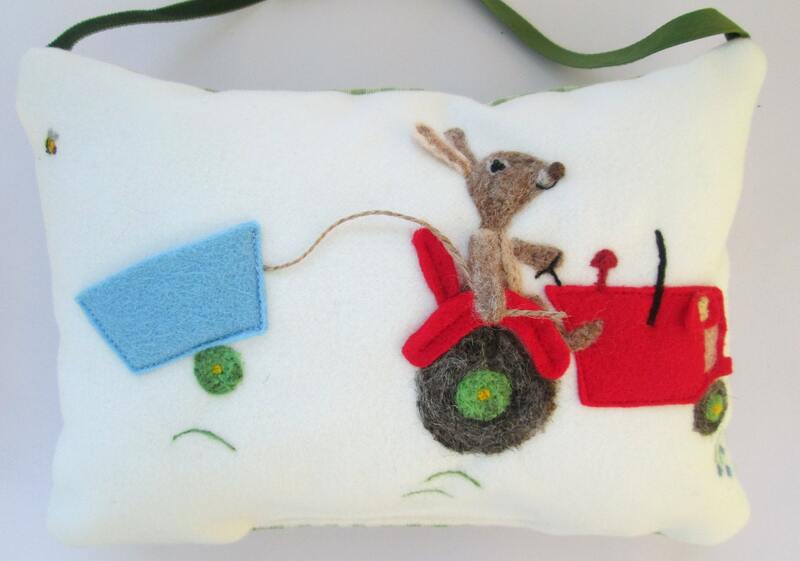 If you like the tractor design I also make children's bags with the same design. Links to other tooth fairy pillows for girls and boys. 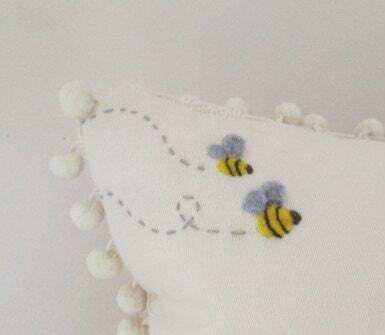 For a larger scale cushion and other animal creations take a peek at my other listings.